This China motorbike tour will drive from South Xinjiang, Tibet, Yunnan. Get excited to this life-long journey and enjoy the scenery along the way. 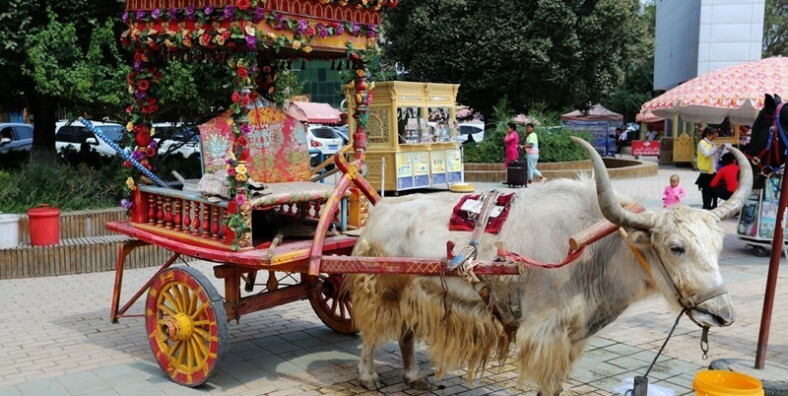 Visit the trading center of Middle Asia – Xinjaing. Get close to the “roof of the world” – Tibet. Vitness the the south of colorful clouds – Yunnan. Arrive in Irkeshtam port between China and Kyrgyzstan. Met by tour guide at the border of China. Make custom formalities under the help of tout guide. Then leave the border and drive to Kashgar. Continue to make the custom formalities and car check. Get your temporary drive license and vehicle tag etc. Today head to visit Id Kah Mosque, one of the biggest mosque in China, which was built by Saqsiz Mirza in 1442. Then head to the Kashgar old city, a major stop along the Silk Road, which is full of Uygur style folk residences. After that, visit Sunday Bazaar and Apak Hoja Tomb. Sunday Bazaar is the busiest part of the city, which covers a total area of 0.17 square kilometers with more than 5,000 stable stalls. Abakh Hoja Tomb is the largest Islamic mausoleum of Xinjiang. It is most known as the Tomb of Xiang Fei, who is one of the imperial concubines of Emperor Qianlong. Today we will drive about 530km to Mazar and stay overnight at a simple guesthouse. Today we will drive about 247km to Hongliutan and stay overnight at a simple guesthouse. Today we will drive about 351km to Domar and stay overnight at a simple guesthouse. Today we will drive about 231km to Domar and stay overnight at a simple guesthouse. Today we will drive about 255km to Tsada and stay overnight here. Visit Ruins of Guge Kingdom and Tholing Monastery. Ruins of Guge Kingdom is said to be the highest ancient kingdom located on the ridge of Tibet and Tholing Monastery was the oldest Buddhist temple in the region. Today we will drive about 225km to Manasarovar and stay overnight at a simple guesthouse. Today we will drive about 503km to Saga. Today we will drive about 448km to Shigatse. Today we will drive about 90km to Gyantse. Today we will drive about 270km to Lhasa. Today we will head to visit Potala Palace first, which is the winter palace of the Dalai lama. Then move on to Jokhang Monastery. Jokhang Monastery is a Buddhist temple in Barkhor Square in Lhasa, and is considered as the most sacred and important temple in Tibet. After the visit, continue to Barkhor Street, an area of round streets located around Jokhang Temple. Today we will visit Drepung Monastery, Norbulingka, Sera Monastery. 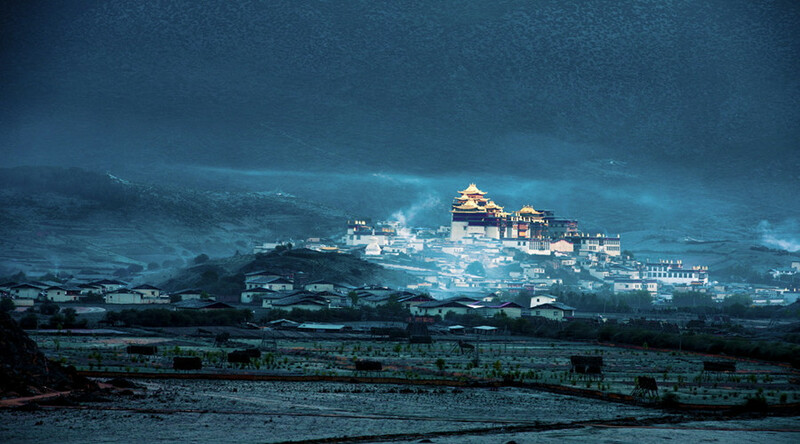 Drepung Monastery and Sera Monastery are two of the “great three” Gelug university gompas of Tibet. Norbulingka, a palace and surrounding park built by the 7th Dalai Lama, is a unique representation of Tibetan palace architecture. Today we will drive about 455km to Linzhi. Today we will drive about 230km to Linzhi. View the scenery of the Mt.Gyala Pelri and the Mt.Namchak Barwa from Serkhyem La Pass. Today we will drive about 216km to Baxoi. Today we will drive about 400km to Markam. Today we will drive about 222km to Dechen. Today we will drive about 220km to Shangri-La. Have a nice view of Meili Snow Mountain and first bend of Jinshajiang River. Then visit the largest Tibetan monastery in Yunnan – Songzanlin Monastery. Today we will drive about 180km to Lijiang. Visit Ancient town of Lijiang and stroll on Square Street. Today we will drive about 160km to Dali. Visit Dali Ancient Town, Erhai Lake, Three Pagodas of Chongsheng Monastery, which are the most popular attractions in Dali. It is the Autonomous prefecture of Bai ethnic people, where we can learn their profound and colorful cultures. Today we will drive about 400km to Kunming. Today head to Flower Market to enjoy the colorful and fragrant flowers. After that, head to Western Hill and Dragon Gate, close to Dianchi Lake, which is called “Sleeping Beauty” due to its shape like a giant sleeping lady from afar. Today we will drive about 290km to Jianshui. Morning head to visit Garden of Family Zhang at Tuanshan Village, Jianshui. Then move on to Jianshui Ancient town and Confucius Temple. Then head to Yuanyang to enjoy the sunset at Laohuzui Terrace. Morning after breakfast, head to visit Jingkou Village of Yuanyang Terrace. Then drive about 305km to Jiangcheng. Today we will drive about 250km to Mohan. The 31 Days China Motorbike Riding will finish today. Leave from China and service ends.